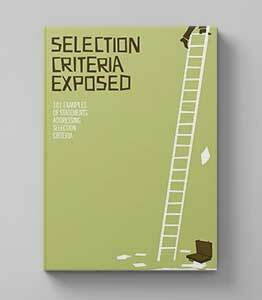 These collection of myths around selection criteria responses have been collected over the years from not only applicants, but also government selection advisory committees. They have been tried, tested and talked about and proven to be false in the government recruitment industry. It just goes to show that you should choose your advice wisely, and make sure it is coming from an authoritative source! The shorter my selection criteria responses are the better, that way the selection panel are more likely to remember what I say. False. If you don’t provide enough information to substantiate your claims, the panel won’t remember what you say because your application will be in the “no” pile. Longer applications and selection criteria responses allow you to expand upon your credentials, and you should use the application as the opportunity to say everything, in case you don’t get an interview. False. Not only will too much information not be remembered, but it probably won’t even be read. Panels do not like ploughing through lengthy applications and may end up skim reading yours, which means they will not take in much of your application at all. Unique looking applications will stand out from the crowd, so it is good to use stand out fonts and coloured paper. False. It is always better to conform with what others are doing, and follow general expectations. Employers generally don’t want employees who don’t conform, so presenting yourself in your application as someone who goes against the flow with isn’t a good starting point. 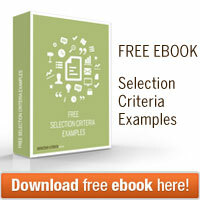 You have to exaggerate to sell yourself in your selection criteria responses. Don’t lie! People will check. There is a difference between selling yourself, and exaggerating. Save some of your big accomplishments for the interview. You shouldn’t give it all away in your application. 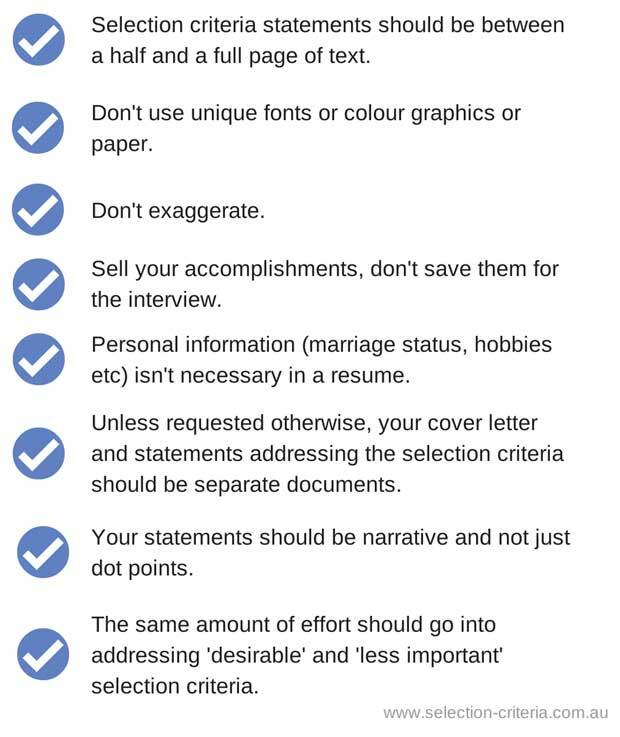 You might not even make it to the interview if you don’t tell the panel important information in your application! You should always include details of your marriage status and children in your government resume. This implies stability and maturity. Personal information such as who you are married to and the ages of your children is referred to as “personal information” and it is not relevant to your application. It is illegal to use marriage status as a discriminator between applicants. You should use dot points rather than paragraphs in your selection criteria responses. Your claims should be narrative in content rather than just a list of your skills. Dot (or bullet) points can be used where appropriate, but should always contain a description of a skill, and not just the skill on its own. 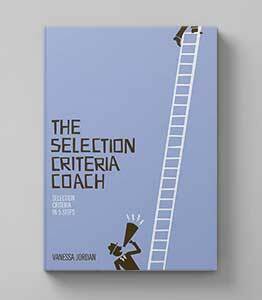 In fact, in a recent study (see Selection Criteria Secrets Revealed) it was found that none of the applicants chosen for an interview used bullet points. To save time and paper you can include your claims against the criteria as part of your cover letter. Cover letters and statements against selection criteria have two different purposes, and should therefore be treated as two separate documents. I don’t need to respond to a criterion that is labelled “desirable” or “less important”. You need to address all criteria! And, you should put equal effort into the desirable or less important criteria as the others. If two applicants are running neck and neck for a position for example, the less important criteria may be used as a discriminator. If you leave these criteria out, or just brush past them, you could be handing the position over to someone else.